The third book in the Sean Duffy thriller series. A spectacular escape and a man-hunt that could change the future of a nation – and lay one man’s past to rest. But finding Dermot leads Sean to an old locked room mystery, and into the kind of danger where you can lose as easily as winning. From old betrayals and ancient history to 1984’s most infamous crime, Sean tries not to fall behind in the race to annihilation. Can he outrun the most skilled terrorist the IRA ever created? And will the past catch him first? This story focusses on events in 1983 and 1984: first of all the breakout of a number of IRA terrorists from the Maze prison and then the subsequent IRA bombings of 1984. And along the way, under the guise of investigating cold cases, Sean Duffy begins to investigate the accidental death of Lizzie Fitzpatrick. This is a locked room mystery, but the coroner had not been satisfied that the death was accidental and returned an open verdict. Mary Fitzpatrick has always been convinced it was murder but no one could envisage how it happened. But why was Lizzie changing a light bulb in the dark, balancing precariously on the bar? The locked room mystery adds an extra filip to this story. In his teens Sean Duffy had been at school with Dermot McCann, and had known the Fitzpatrick family. 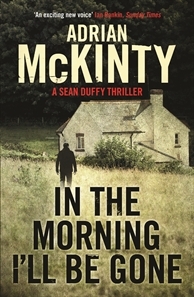 I also liked the way McKinty has definitely established a setting and time frame. Sean Duffy will do almost anything to regain his place in CID but how much is he controlling his destiny? This probably is the best of the Sean Duffy trilogy, but only by a hair’s whisker. 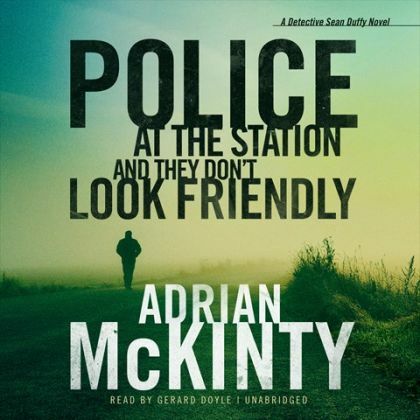 Adrian McKinty was born and grew up in Carrickfergus, Northern Ireland. he moved to Denver, Colorado to become a high school English teacher. 2008 he emigrated again this time to Melbourne, Australia with his wife and kids. Adrian’s first crime novel, Dead I Well May Be, was shortlisted for the Ian Fleming Steel Dagger Award. The sequel to that book, The Dead Yard, was picked as one of the 10 best books of the year by Booklist and won the Audie Award for best crime fiction novel. The first book in the Sean Duffy series, The Cold Cold Ground, won the 2013 Spinetingler Award for best novel. 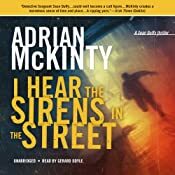 The second Sean Duffy book, I Hear The Sirens In The Street was shortlisted for the Ned Kelly Award. 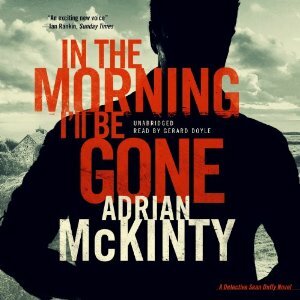 IN THE MORNING I’LL BE GONE completes what is surely one of crime fiction’s best trilogies*. Collectively the set has used an assortment of routine crimes and their investigation as an avenue into the crazy, mixed-up world that was Northern Ireland’s Troubles; offering the kind of insider perspective on everyday life that non-fiction can never quite manage. And while the first two books were both outstanding, IN THE MORNING I’LL BE GONE is…perfect. As the book opens series hero, Sean Duffy, has been expelled from the police, ostensibly for running someone over with his police vehicle but really because of the many feathers he has ruffled and lines he has crossed in the events depicted in earlier instalments. Just as he is contemplating a move to Spain, where his police pension might stretch a little further and the weather will definitely be sunnier, he gets an offer he can’t refuse. His old school mate and IRA leader Dermot McCann is one of the prisoners who escaped from the Maze prison on one horrendous night and Special Branch wonder if Duffy’s personal connection might enable him to uncover information about McCann’s whereabouts and current plans. I think my favourite of the many lovable things about this novel is its intricately clever plot that includes a romping, old-fashioned locked-room mystery. I’ll admit to being wary at the first sign of this classic trope because many modern attempts go horribly awry through thinking this an easy plot element to achieve. 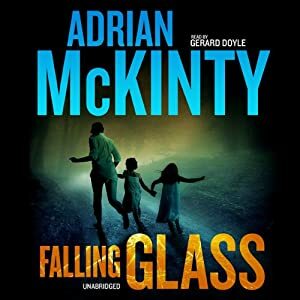 But McKinty has not succumbed to the lure of the paranormal nor unfairly hidden some snippet of information from the reader and the fact his characters are aware of the infamy of the type of puzzle they’re trying to solve somehow makes it seem all the more legitimate. Being a huge fan of the locked-room story I’d have been happy enough with this alone, but the plot holds much more including an ending that inserts Duffy very credibly into one of the period’s most dramatic real events. Said ending is wickedly unforgettable but not over-the-top and this is such a rare thing in crime novels these days it must be applauded. Possibly even more important than offering a ripper yarn with an undercurrent of humour is the undoubted insight the novel offers into this turbulent time and place. There are banalities and absurdities; terror and dullness; the personal and the political are irretrievably and dangerously intertwined; right and wrong are everywhere: jumbled, often indistinguishable. The problem with most of the non-fiction I’ve read on this topic is that it tries to make sense of it all whereas McKinty seems to have realised the futility of that and just depicted what was: a surreal and often nonsensical morass of humanity at its worst. And best. I could go on some more but if I haven’t already convinced you to give this one a go then there’s no hope for you. From its Tom Waits’ borrowed title to the very last word of chapter 32 IN THE MORNING I’LL BE GONE is a treat. It offers everything I look for in a novel: lovably imperfect characters, an enveloping sense of its time and place, emotional highs and lows and some of the best laughs you’ll find between two covers. I recommend it to everyone: crime fan or not. And if you happen to be a lover of audio books do yourself a favour and grab the Gerard Doyle narration. *there are rumours of a fourth Sean Duffy book in the works but, for now at least, this is a complete set. isn’t easily deterred, especially when his floundering love life leaves him in need of a distraction. So with detective constables McCrabban and McBride, he goes to work identifying the victim. U.S. military. What was he doing in Northern Ireland in the midst of the 1982 Troubles? The trail leads to the doorstep of a beautiful, flame-haired, twenty-something widow, whose husband died at the hands of an IRA assassination team just a few months before. and powerful men he should know better than to mess with. These include British intelligence, the FBI, and local paramilitary death squads – enough to keep even the savviest detective busy. Duffy’s growing sense of self-doubt isn’t helping. But as a legendarily stubborn man, he doesn’t let that stop him from pursuing the case to its explosive conclusion. This is the sequel to THE COLD, COLD GROUND which I reviewed last year. Set in Northern Ireland during the Troubles in 1982. When a male torso turns up in a suitcase, the suitcase turns out to have belonged to a man murdered by the IRA the previous year. 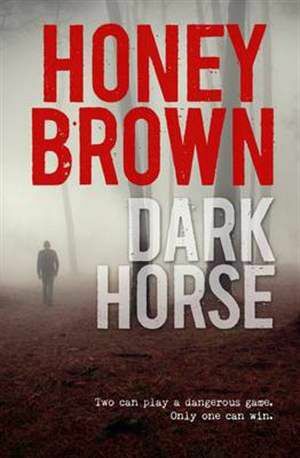 The widow lives on an isolated estate and from the beginning Detective Inspector Sean Duffy can see that there are elements of her story about her husband’s murder that don’t quite jell. One thing leads to another and Sean identifies the body as that belonging to an American tourist. Even there, there is something wrong with the story. With his passion for tying up loose ends Sean eventually follows the story even when he has been expressly warned off. This is noir crime fiction laced with Sean’s own peculiar sense of humour. There’s not just the blackness in the plot, but blackness in the setting – Northern Ireland on the brink of economic disaster, its last remaining industry whimpering to its death. 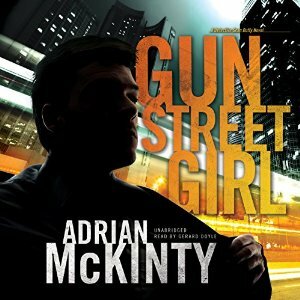 Adrian McKinty is a master story teller, the writing well polished, the characters well drawn. The dangers of living and working in Northern Ireland in the Troubles are vividly brought to life. He takes us to a time and place few of us have experienced first hand. The narrator Gerard Doyle does an excellent job.